Retired Bishop Pat Power says Pope Francis’ Apostolic Exhortation, Evangelii Gaudium, is the most enriching and life-giving papal document he’s read since Vatican II. In 1985, an English Jesuit priest, Gerard Hughes published an uplifting book, God of Surprises. In 2013, our Argentine Jesuit Pope, Francis, has, right from the moment of his election as Bishop of Rome, given us new insights into the presence of a loving God in our world. His recently published Apostolic Exhortation, Evangelii Gaudium, The Joy of the Gospel, refreshingly portrays the Christian life in a manner which is not only achievable to all people under God’s grace, but is a journey which is filled with joy. The opening paragraph sets the tone for the whole inspiring document. “The JOY OF THE GOSPEL fills the hearts of all who encounter Jesus. Those who accept his offer of salvation are set free from sin, sorrow, inner emptiness and loneliness. With Christ joy is constantly born anew. In this Exhortation I wish to encourage the Christian faithful to embark upon a new chapter of evangelisation marked by this joy, while pointing out new paths for the Church’s journey in the years to come.” Here is salvation being offered to all people. They are not to be excluded or weighed down by past failures or struggles. Rather they are invited to find the joy of the Lord in a personal encounter with Jesus Christ. Some months ago, I agreed to talk with the people of Sacred Heart Parish, Kooringal, Wagga Wagga on the influence of the Second Vatican Council on the life of the Church. Thanks to the Parish Council Chair, Denis Nickle, I was helped to incorporate some of what Pope Francis had written into the presentation which I made a week after the publication of Evangelii Gaudium. Denis extracted some key points which I wish to highlight. Evangelii Gaudium is the most enriching and life-giving papal document which I have read since Vatican II. I make the plea of another commentator and urge you to read it in full. Its teaching is engaging, intelligible and consistently joyful and hope-filled. In these troubled times for our Church, here is a message which does not shy away from the harsh realities we need to face, but invites us to bring the person of Jesus into the broad picture as we journey together as a pilgrim people. Bishop Pat Power retired in 2012 as Auxiliary Bishop of Canberra-Goulburn. 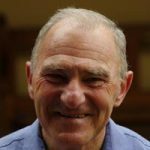 Educated by the Good Samaritan Sisters at St Christopher’s School in Canberra, Pat says he has “retained a continuing affection for and appreciation of the Good Samaritan Sisters who have played an integral part in my life as priest and bishop since my ordination in 1965”.